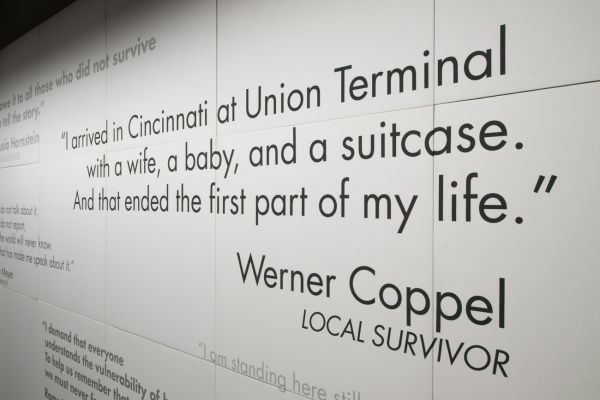 On Sunday, May 5, as part of our Becoming Beloved Community journey, a group from Church of the Redeemer will make a visit to the Nancy and David Wolf Holocaust and Humanity Center located in Union Terminal. All are welcome to join. We will meet at the museum at 1:30 pm and are scheduled to hear from a speaker at 2:00 pm. Our tour of the center begins at 3:00 pm and should be complete by 4:30 pm. Cost is $10.00. We ask that you RSVP and pay for your tickets below no later than April 21 so that we can let the museum know how many to expect. Should you have any questions, contact Nancy Schwartz, Communications Minister. Thank you for registering and we will see you on Sunday, May 5 at 1:30 pm at the museum. This service marks the three hours that Jesus hung on the cross. Each half-hour segment includes spoken meditations, musical meditations, prayers, and silence. Worshipers are encouraged to come for the full three hours or for a portion of the time as their schedule allows.